Methuen - Margaret R. (Casagrande) LaFrance, 81, died peacefully Saturday, October 13, 2018 at the Nevins Rehab Centre in Methuen surrounded by her loving family. Born in Brooklyn, NY and raised in Queens, she was the daughter of the late James and Elizabeth (Quinn) King. Margaret had been employed in the banking industry for over twenty-five years, having worked for Bay Bank and Bank Boston which became Bank of America in their Hamilton, Beverly and Danvers branches. A resident of Methuen for the past six years and prior to that in Danvers and Hamilton. 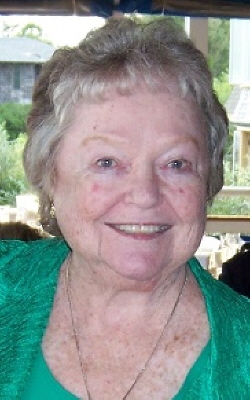 Margaret was known for her sense of humor and sharp wit and her favorite saying was “not to worry”. She enjoyed cooking for friends in the neighborhood as well as for family gatherings. She was a loving mother, grandmother, great grandmother, sister and friend who will be missed by all who knew her. Surviving her are her three sons, William Casagrande and his wife, Judith of Methuen, Stephen Casagrande and his longtime partner, Gael McManus of Danvers and Michael LaFrance and his wife, Rebecca of Windham, NH, four grandchildren, Rebecca Casagrande LoSurdo and her husband Sam of Liverpool, NY, Billy Casagrande, Lily and James LaFrance, two great grandchildren, Dominick and Elizabeth LoSurdo, a sister, Dr. Clare Sanger and her husband Marius of Aspen, CO, a sister-in-law, Sr Ann Casagrande of Litchfield, CT and several nieces and nephews. She was also the mother of the late Mary Beth LaFrance and grandmother of the late Dennis Casagrande. Her funeral Mass will be celebrated at the Church of St. Paul, 50 Union Street, Hamilton, Thursday, October 18, 2018 at 9 a.m. Relatives and friends are invited to attend. Visiting hours at the Campbell Funeral Home, 525 Cabot Street, Beverly, Wednesday from 4 to 7 p.m. Contributions may be made in her memory to the charity of one’s choice. Information, directions, condolences at www.campbellfuneral.com. "Email Address" would like to share the life celebration of Margaret R. LaFrance. Click on the "link" to go to share a favorite memory or leave a condolence message for the family.